Well, what can I say about these other than they were surprisingly delicious, and I really surprised myself with my presentation skills. This recipe is versatile; you can add or replace vegetables and ingredients and have fun with it. You can even make mini cakes and use these as appetizers for parties. 1. 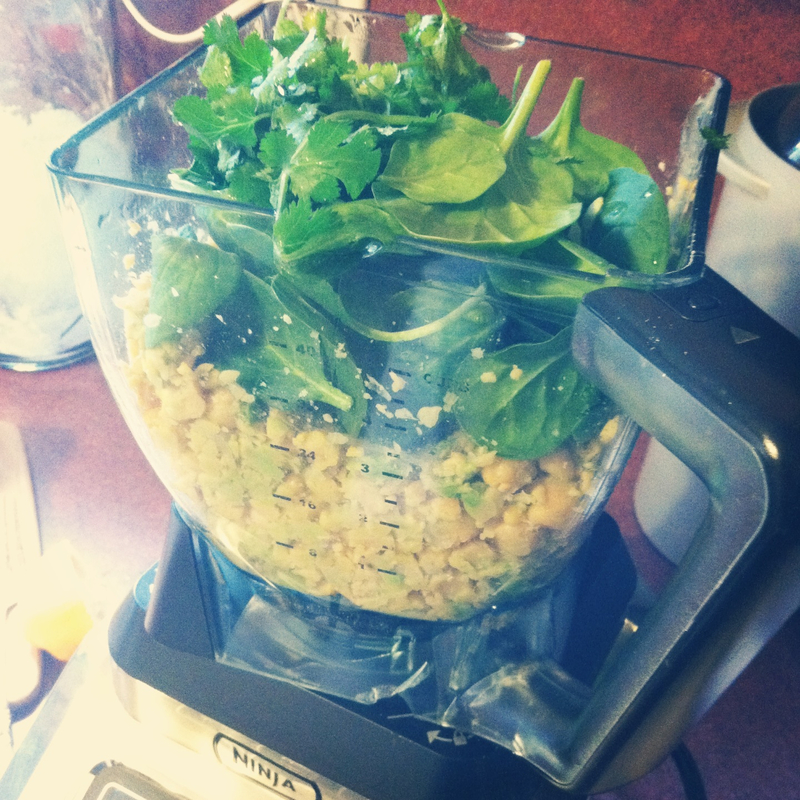 In a food processor, pulse the ingredients from the chickpeas to the water until pretty well combined. It can be a bit chunky. 2. In a medium-sized bowl, combine the mixture with the remaining ingredients, except for the coconut oil. 3. This is where it gets fun. Use your hands to knead and blend the mixture until well combined. 4. Now you should have a mixture that is a clay-like consistency; one that you can form into a ball and then a patty. 5. I made my cakes by forming a ball a bit smaller than the size of a tennis ball, then pressing flat into a patty. Repeat. 7. 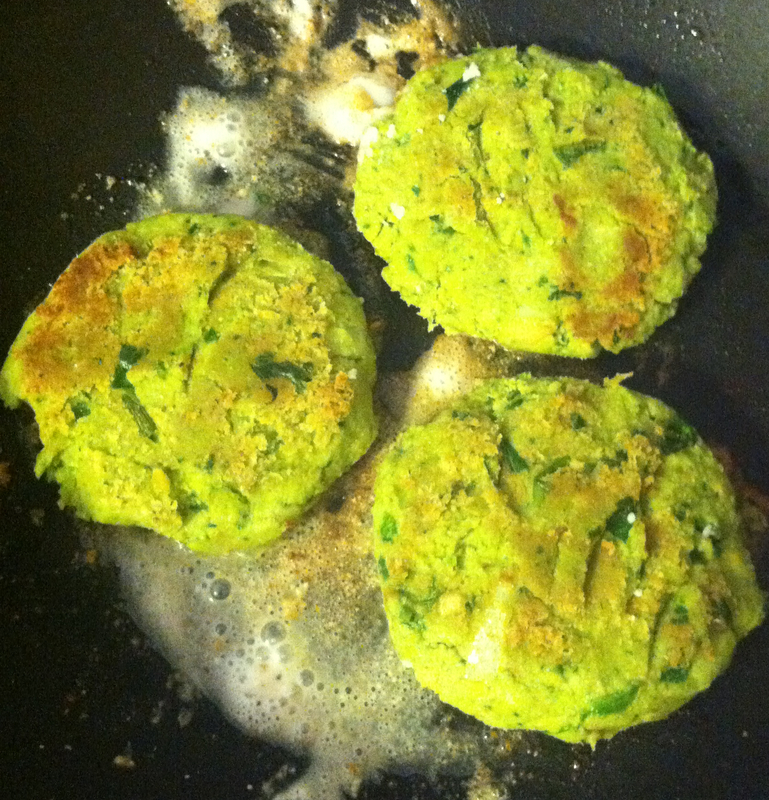 Pan-sear patties until golden brown on each side. I flipped mine twice on each side, so they would cook evenly. 8. 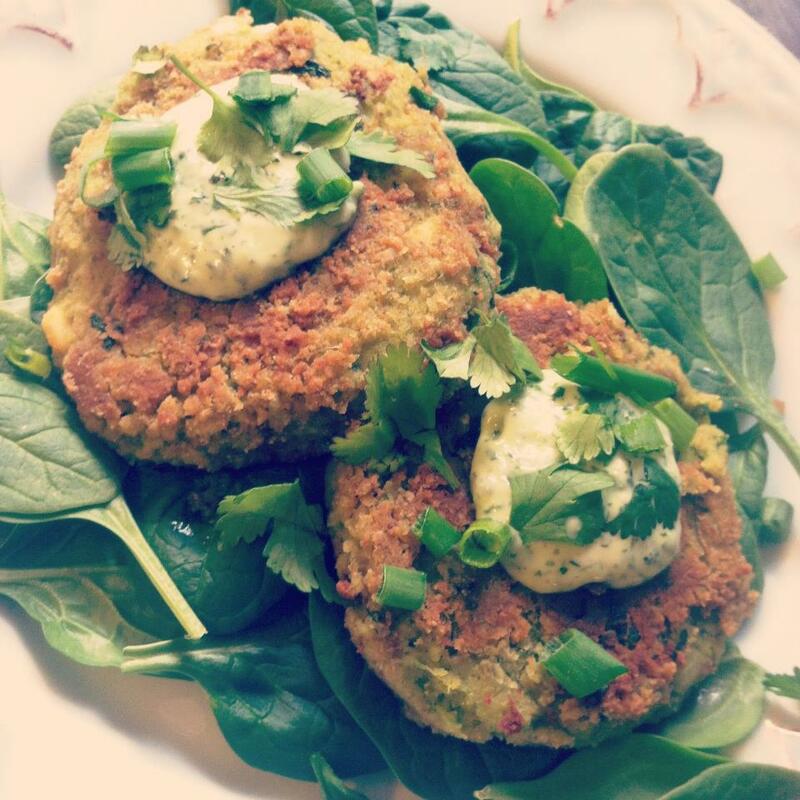 Serve over a bed of fresh spinach with cilantro lime dressing (see recipe below). 1. 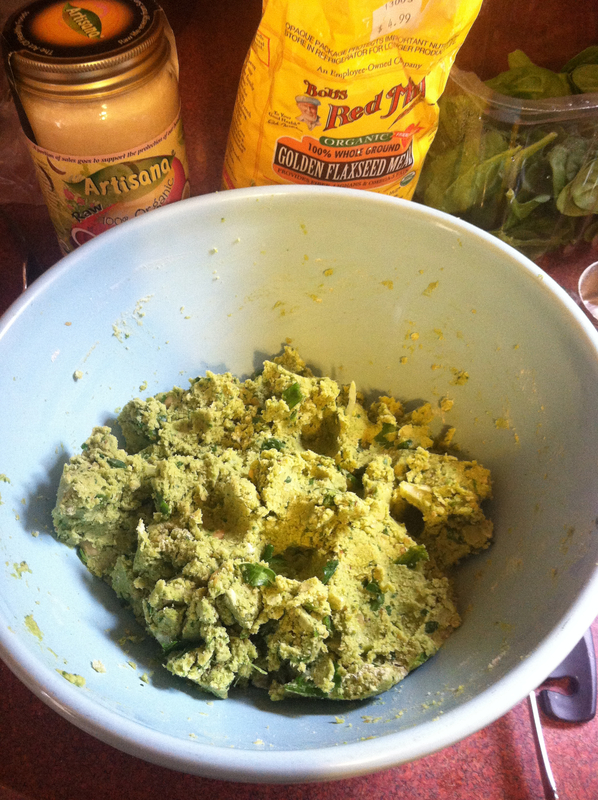 In a food processor (I used a mini processor) blend ingredients until smooth. 2. Place a small dollop of dressing on each cake to serve.